Illinois should be putting more money into prisons, says Republican governor candidate Bruce Rauner. Rauner says the problem is safety. “We have unsafe prisons. 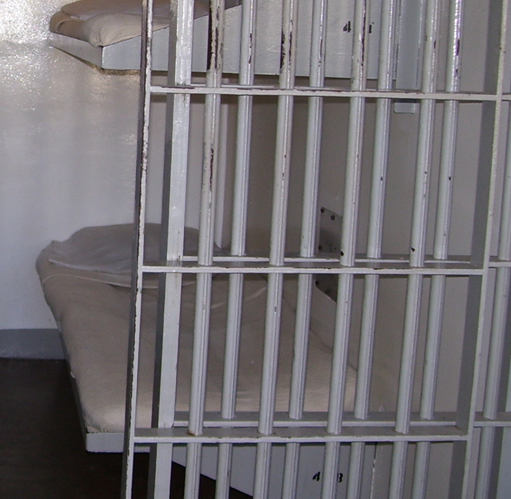 We have corrections officers with their life and their personal safety at risk. We have inmates with their personal safety at risk because we haven’t properly staffed and invested in our corrections system,” he said. The Department of Corrections has 11,000 employees and a budget of $1.3 billion. The cost of adult incarceration is about $38,000 per inmate per year, when you include the Corrections budget, plus capital costs and employee pensions and health care, which are not included in the Corrections budget. The governor has closed prisons at Tamms and Dwight, and youth prisons at Murphysboro and Joliet. Illinois has 48,902 adult inmates (as of Oct. 1), in a system with a design capacity of 32,000. Rauner also says the state must find ways to keep non-violent lawbreakers out of prison. Gov. Pat Quinn says he’s doing that. “We have reduced the number of repeat offenders. One thing we use is what’s called Adult Redeploy. We invest in the front end, trying to keep people out of our state prisons – alternative ways of punishing people for bad behavior so they don’t have a life of crime,” he said. Rauner made his comments even while he’s running a TV ad that dings Quinn because some prisoners who were let out early – and some who had completed their sentences – went on to commit violent crimes. The two candidates discussed this issue during the public television debate in Peoria.